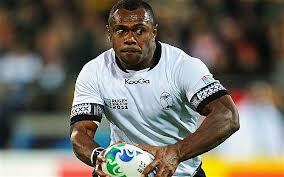 The Fiji 7s team will undergo an intensive three-day army training in preparation for the Moscow RWC campaign. The 21-member squad will start with basic army training from today in Nasinu to prepare for the Rugby World Cup Sevens in Moscow, Russia at the end of this month. Team manager Semi Rogoyawa told Times Sport the focus of the team this week was on team bonding and leadership training. “We have dedicated this week to team bonding and leadership exercises. “For that, we will do indoor sessions along with our outdoor training to improve on those areas. “We want the players to know each other well and at the same time learn to take responsibility on the field. Rogoyawa said the army training would toughen the players earmarked to carry the hopes of the nation to the world cup. Meanwhile Rogoyawa has pleaded with rugby fans to support coach Alivereti Dere and the team he has selected for the world cup. “That’s all water under the bridge now. The team has been named and the best we can do is support Dere and his plans for the world cup. The World Cup Sevens will be held in Moscow from June 28-30. Wales is the defending world cup champion. Leone Nakarawa, Levani Botia, Nemani Nagusa, Joji Ragamate, Metuisela Talebula, Vereniki Goneva, Samisoni Viriviri, Jasa Veremalua, Waisea Nayacalevu, Watisoni Votu, Alipate Raitini, Ilai Tinai, Jone Vota, Setefano Cakau, Osea Kolinisau, Timoci Matanavou, Donasio Ratubuli, Sakiusa Gavidi, Emosi Mulevoro, Ulaiasi Lawavou, Sunia Kubu.